Spacious sites arranged for privacy. Over 5000 ft in elevation which means cool nights in Summer. Shower in one bathroom. Trees all around for privacy. Drinking water located not far from any site. Been staying here for over 30 years and love the privacy and access to many hiking trails. Bears occasionally enter campground but I have never had trouble with the. Keep all food secure in bear box provided at each site. Rangers patrol often so have always felt secure. This campground is snuggled high in the mountains and was like a dream. This campground gives way to spectacular views of the Smoky Mountains. The campground was nicely separated giveing each site some privacy from the neighbors. Bear boxes are provided and the restrooms were super clean. In June the Laurel trees are blooming making each campsie alive with beauty. Our family lloved it here. Great campground! Clean comfort stations and showers. It has the best views in the south with no signs of development. It may be one of the last few areas in the east where all you can see is trees and no development. There are great hiking trails near the campground. The frying pan trail to a US Forest service lookout tower is one of the best. You can also climb to the top of the tower for even better views. One of our favorite places! The tent sites are small and right on top of each other but lots of bushes make you forget that. Beautiful country right off the Blue Ridge Parkway. We stayed here on our way to hike a section of the AT. Great trails surrounding and leading up Mount Pisgah which is beautiful with seasonal streams. Great amenities in the campground. Location is probably the best feature of this campground. Sites are decent sized and fairly private. Can get chilly since you're at higher elevation. Asheville, NC might just be one of the coolest cities in the Southeast. Craft beer and camping is the name of the gamer around there. Spent two weekends in the area, once during the July, 2015 and then again in October 2015. 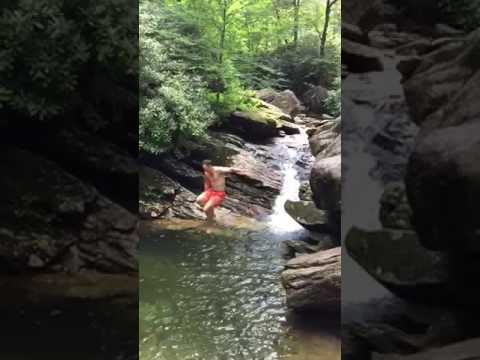 July was a day trip and got to jump off of Skinny Dip Falls (video). Then in October, we camped at a primitive site and spent the day Saturday on a brew hike in Asheville. Primitive site was great…once we found one. Took about a 1 hour drive around 7pm on Saturday to find an open lot. Get there early or prepare for quite the night time mountain drive. Other than that, it's a typical primitive site with access to trails and beautiful trees. 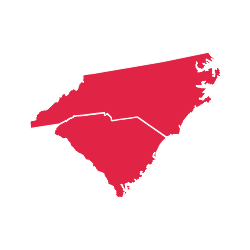 Enjoy your time in the NC Mountains. I love camping…love hiking…and absolutely love mountains with long views! Mt. Pisgah gifts them all! It is easier for me to give campgrounds high ratings, because I seldom camp at them during the weekends. Nope, not for me…don't enjoy the crowds. I usually hit the backwoods during those days. But weekdays suit me just fine to car camp. At 5721 feet, Mt. Pisgah can be seen for miles around…and when standing atop its summit…you can see for miles…and it is beautiful. The trails are rugged, but doable. Along with hiking up Mt. Pisgah, Frying Pan Mountain Fire Tower is another highlight. Its best to hike these peaks early in the day before cloud cover moves in…if you are looking for a photo op. It seems as though I can't camp or hike without intermittent rain in the forecast…and it did rain on us the entire trip. But no worries…you make do. The campground was enjoyable…many loops and sites to choose from. During the week, you still need to get there early to secure a favorable site. Facilities are nice. We did have a bear trap right next to our truck during our stay…which leads me to believe people are messy and leave their food out to attract them. Sliding Rock is not too far away also…and during the summer months…well worth the slide down the smooth rock into a refreshing pool below. A little bumpy…but fun! This is a large campground with the sites really close together. Its got RVs, bathrooms, running water - a little more modern than I prefer, but it gets the job done if you're looking for a place to stay for a night or two. Its close to some good trails, including the trail to Frying Pan Mountain lookout tower.